Finally we are getting official confirmations from Fuji itself that they are interested in developing medium format solution for professional photographers and also Research and development is going on for medium format solutions possibilities. 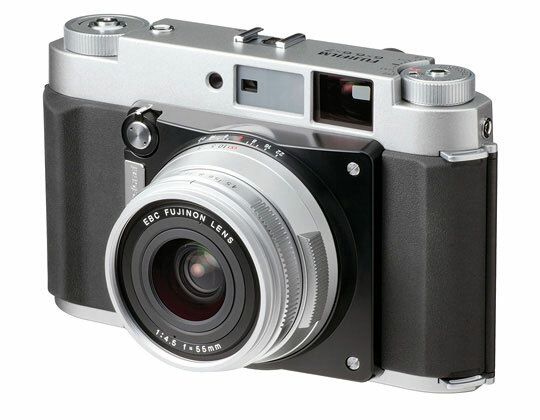 The changing Role: Before the confirmation of Takashi Ueno is a senior product planner , Fuji declined the possibility of Medium format camera on December 26th, 2014, take a look at the post here. The fujifilm medium format rumor is not new, the first Fuji medium format rumor posted on May 19th, 2014 and you can also check the last post here – Fujifilm Working on Medium Format Camera. The 2016 started very well for Fujifilm and its loyal customers since they Fuji added Fuji X-Pro 2, Fuji X-E2s and Fuji X70 in ots catalog. The Fuji X-Pro 2 camera uses latest X-Trans III sensor developed by Fujifilm itself. The image and link is of old medium format film based camera… we are using its image as a reference nothing else.